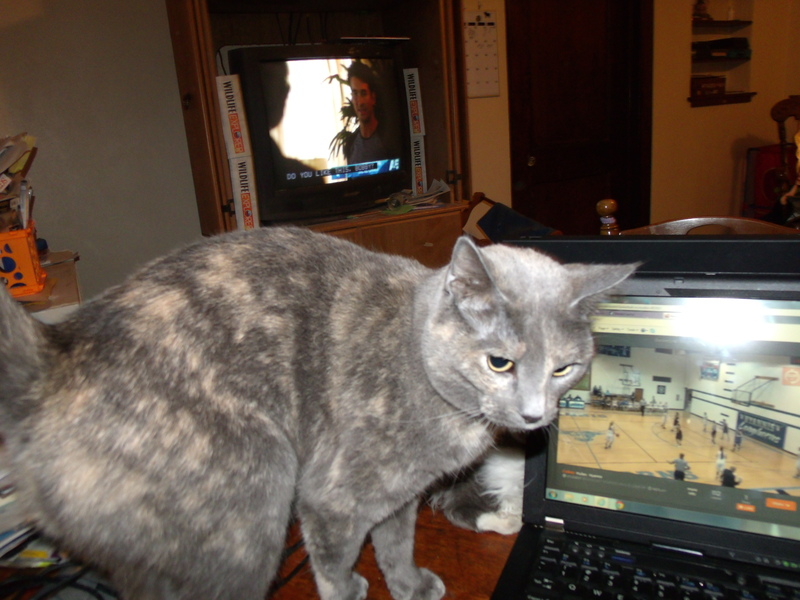 I was trying to watch a basketball game on “the Cube” this evening, but two of my grey felines, however, had other plans for tonight. It’s really hard to work with clingy cats. 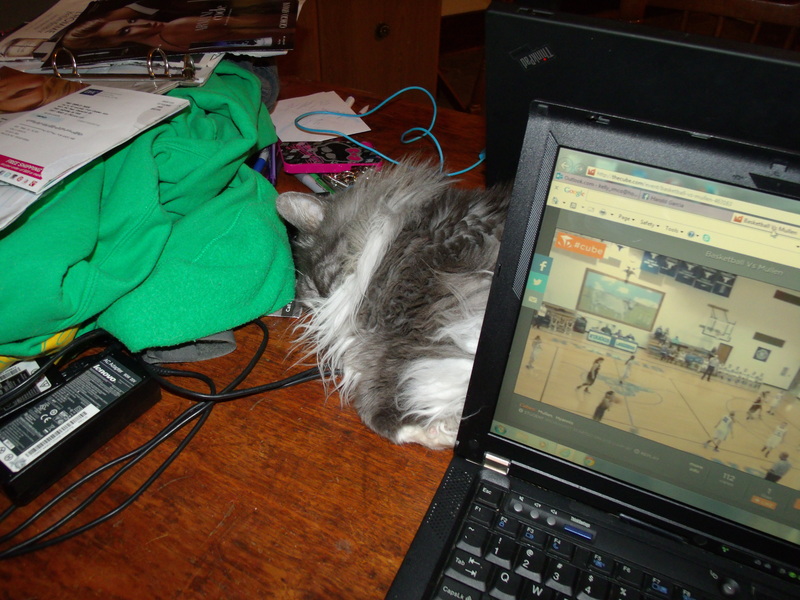 Jersey was guarding the space between laptops. Sometimes mine moved when she stretched. Smokey was feeling particularly clingy tonight. She wanted snuggles, but she ended up on my shoulders with her claws out. OUCH! I can’t work under these conditions! 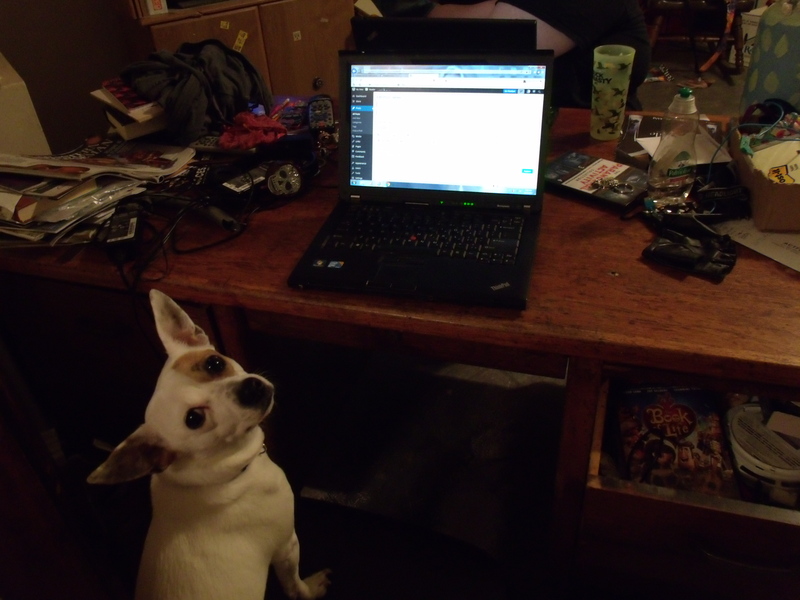 I was in the middle of a blog post last night, but I made the mistake of going to the kitchen for coffee. 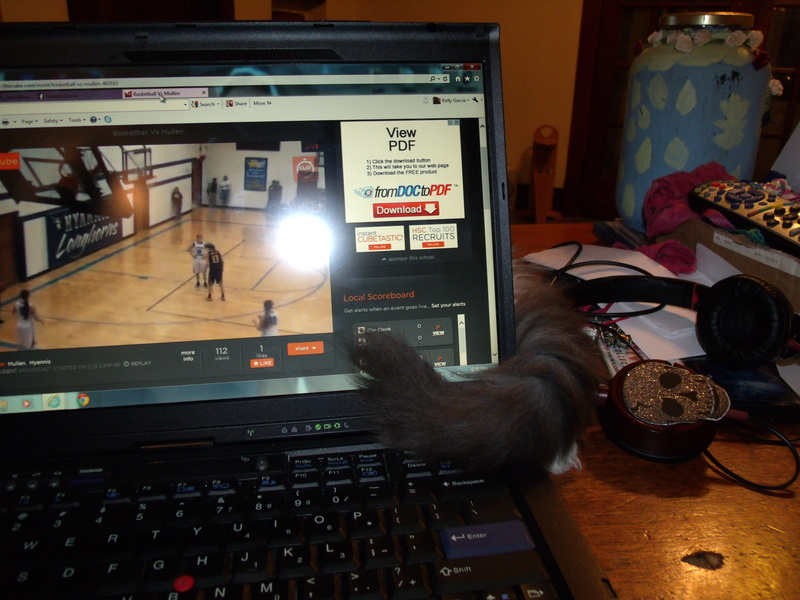 When I came back, Jinx was working on the post! Jinx was adding her point of view. Do any other writers fight this battle? I think the furkids are winning so far!